Paint strippers sold in the U.S. contain dangerous chemicals. When I learned that most paint strippers sold in America contained methylene chloride (DCM) or N-Methylpyrrolidone (NMP), I chose to take action. Why did I take action? Because methylene chloride and NMP are toxic chemicals with serious side effects. Long-term exposure to methylene chloride has been linked to liver toxicity, lung cancer, and death, while NMP exposure is dangerous for pregnant women because it has been linked to miscarriage, fetal death and decreased birth weight. 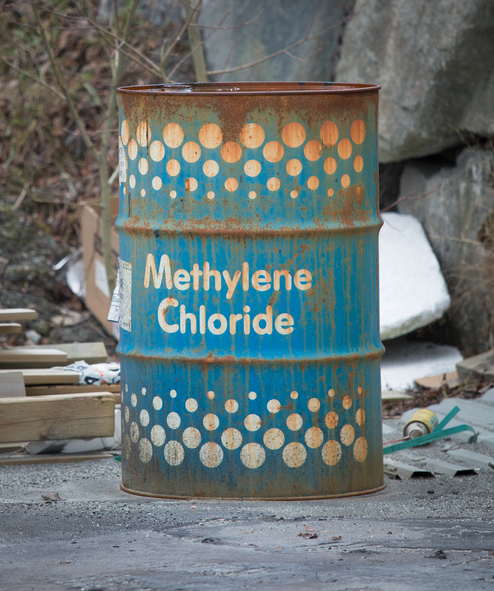 More than 50 people have died nationwide since 1980 from exposure to methylene chloride, with just 4 of those tragic deaths occurring in the past year. These chemicals are so dangerous that the European Union banned methylene chloride paint strippers in 2012. Unfortunately, our EPA is dragging its feet. The California Department of Public Health determined that special full-face respirators with exhaust ventilation and polyvinyl-alcohol gloves need to be worn while using these products. Unfortunately, home improvement stores like Lowe’s don’t carry these special respirators or this specific type of glove, so people end up buying inferior types of protection, which are more readily available. I went to my local Lowe’s store and asked to speak with Brian, the store manager. I expressed my concern about the paint strippers his store was selling. I told him about the dangers these products posed to human health and how I was part of the Mind the Store Campaign. I let him know that I was aware it wasn’t his personal decision to sell these products, which I think he appreciated hearing; his somewhat defensive stature relaxed once I told him that. He told me that Lowe’s corporate headquarters knows about these issues. He promised to deliver my letter to his boss and said he will tell him about our discussion. 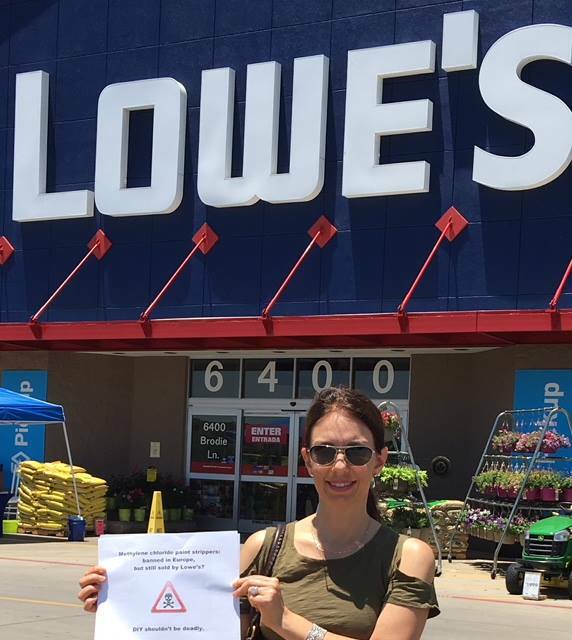 If the EPA won’t ban these toxic chemicals, then Lowe’s and other home improvement stores need to take action to help protect their customers. After all, if European countries have banned these chemicals, then there are obviously alternative formulas for paint strippers. In the meantime, and at the very least, the store could stock the proper specialized respirators and gloves and place them next to the paint strippers. Putting these paint strippers in a locked cabinet (similar to the cabinet for spray paint) could also help. In this scenario, an employee would need to unlock the cabinet and give the customer a pamphlet that tells about the dangers of using these products. Just how many more people have to die before retailers like Lowe’s will stop selling deadly paint strippers? “Do It Yourself” projects shouldn’t be deadly.